In order to meet the specific requirements of our clients, we are in to presenting a broad range of State Transport Seat Frame Assy to clients. These products are stringently tested to ensure its best quality. 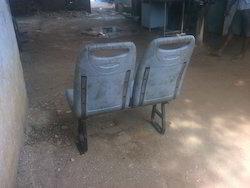 Our organization is engaged in providing an exclusive range of State Transport Seat Frame Assy to our valued clients. These products are manufactured using optimum quality raw material with defined industry standards by utilizing the advanced tools and technology. Offered products are widely used in the market due to longer service life, high strength, low maintenance and reasonable market price. Moreover, we assure delivery of products within a promised time frame to the clients.